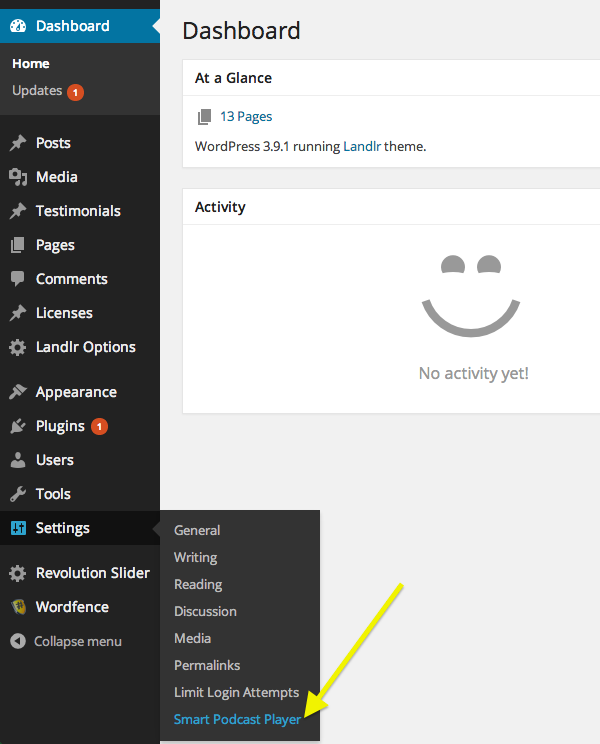 The settings menu is in the left-hand menu of your WordPress Dashboard. You'll find the Smart Podcast Player settings in the main Settings menu. 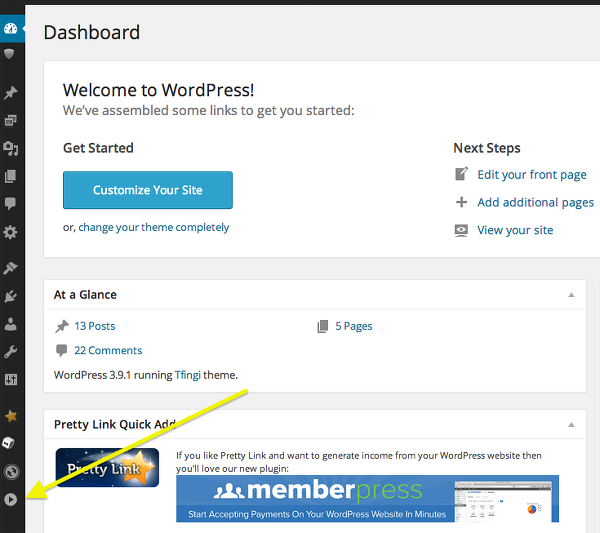 If you don't see the full menu, click on the grey circle with the black arrow at the very bottom. This will expand the menu.